Ready to put your negotiation skills to the test? Pin trading is one of the most popular activities at Global Finals. This year, a brand new pin trading space will be available within the Municipal Arena Lower Exhibition Hall. 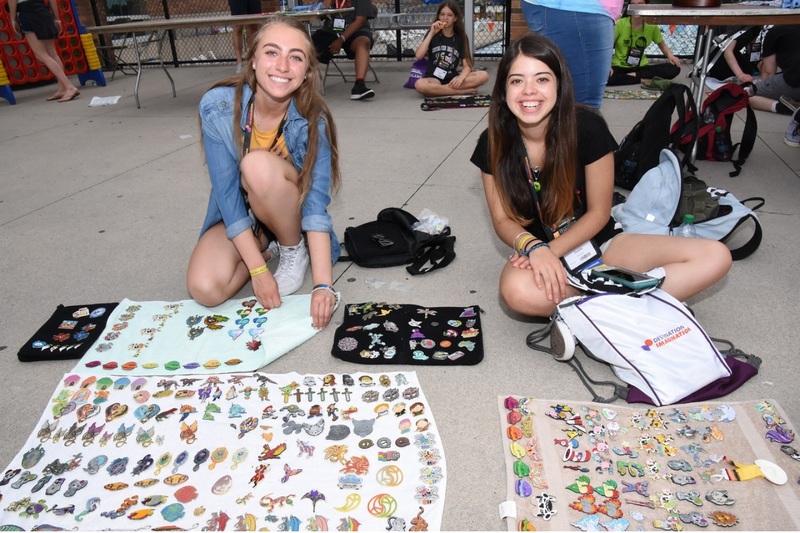 You will have the opportunity to trade pins with peers from around the world who are also attending Global Finals. It is a great way to spark conversation and meet fellow DI-ers from different states, provinces and countries. Be prepared to make friends in addition to trading pins! Your Affiliate Director will be able to help you order pins and determine the appropriate quantity. Trading must be done in a fair and honest manner. NEVER take advantage of younger or less experienced traders! It is OK to say NO! You can always walk away from a trade that you are uncomfortable with or do not want to make. Never force another trader to make a trade that they do not want to make, no matter how badly you may want the pin that they have. Pins are only to be traded. The sale of pins to another trader or the purchase of pins from unauthorized others is strictly prohibited. We strongly encourage the practice of trading 1 pin for 1 pin or a pin set for another pin set of equal number. Highly coveted pins, or pins in limited supply, may take on higher values, so sometimes you may need to trade more to get the pin you really want. Trade only in designated Fair Pin Trading Zones. Don’t interfere with other students’ pin trades. Clean up your mess, including your small pin bags! It’s important to protect our environment. If you see pin trash, help make a difference by picking it up!